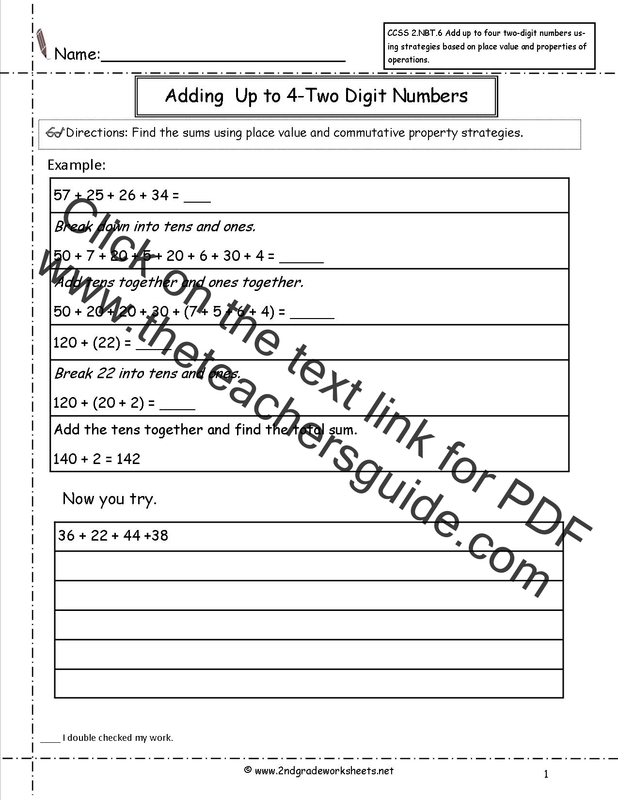 ﻿ CCSS 2.NBT.6 Worksheets. Adding up to Four 2-Digit Numbers Worksheets. 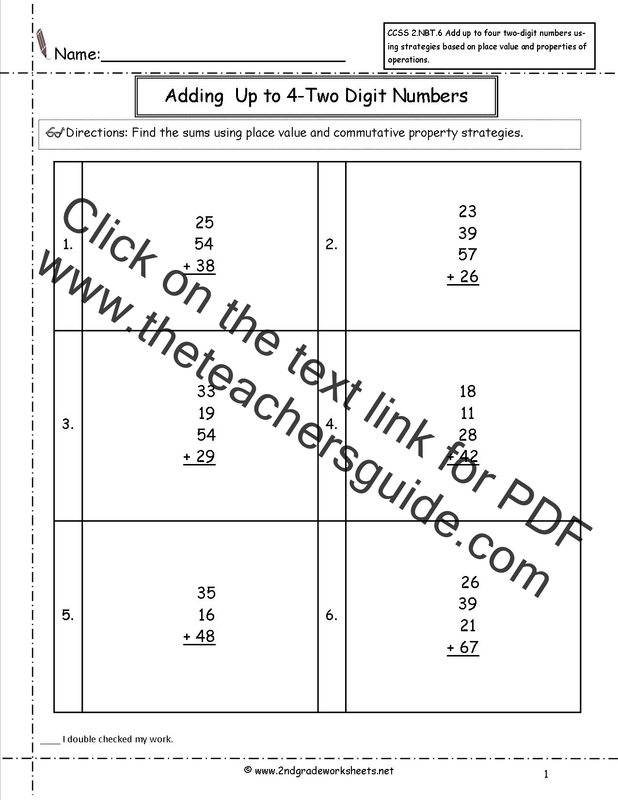 Add up to four two-digit numbers using strategies based on place value and properties of operations..
Students add 2-digit numbers using place value and commutative.